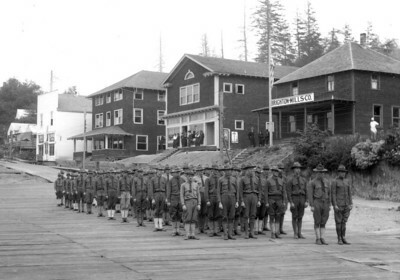 Beginning about 1910, the Nehalem Bay area thrived on cutting trees and milling lumber. 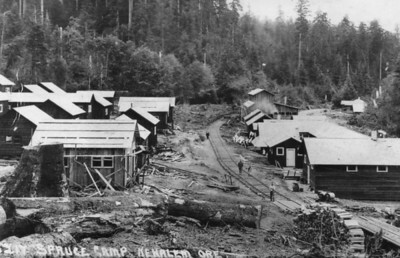 Most loggers lived in camps such as this one located on today's Foss Road about three miles upstream from Miami/Foley bridge. 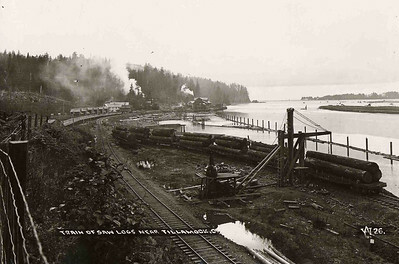 Rail cars brought logs to the mill at Wheeler and to mills at Brighton, Garibaldi and Tillamook. 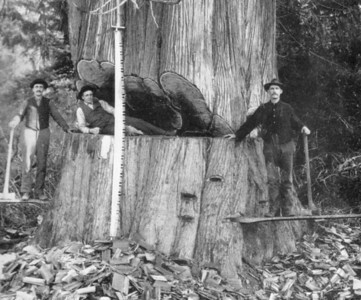 Loggers were among the first to apply the gasoline engine to their industry. 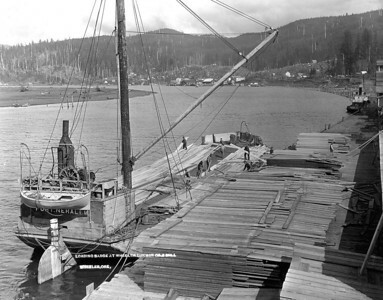 Booming populations in California and completion of the Panama Canal spelled huge markets for lumber from the northwest. Shipments from Wheeler skyrocketed during the 1920s. At the turn of the 20th Century, the Nehalem watershed contained millions of trees the size of this one. Loggers from midwestern states and Scandanavian countries moved here to harvest the green gold. 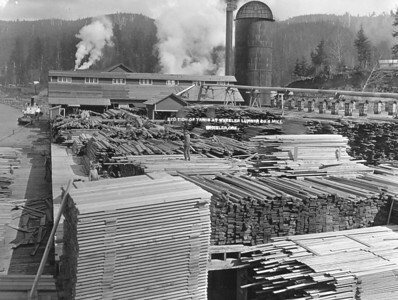 The Effenberger mill in Nehalem produced boxes and crates. 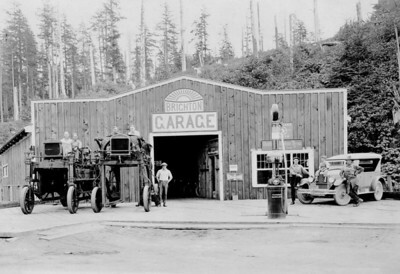 By the 1920s, mills as well as loggers relied on the gasoline engine. 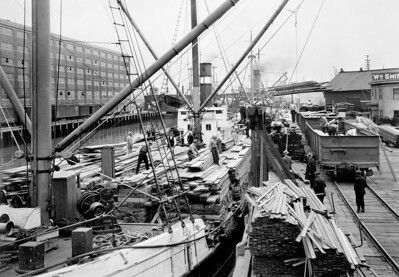 Lumber steamers from the northwest crowded the docks in San Francisco. Some logging camps were relatively small, such as this one along today's Camp Four road. 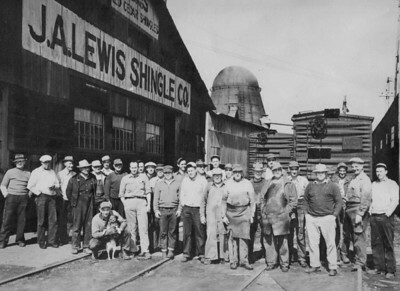 The Lewis mill in Wheeler produced shingles from cedar. 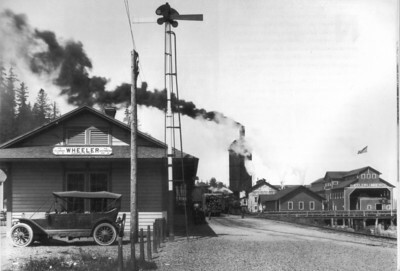 C H Wheeler lived in Nehalem for ten years while he planned, financed and built the mill in Wheeler. 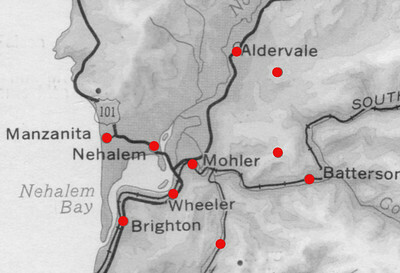 During the heyday of logging in the 1920s, the Nehalem Bay area needed ten post offices to serve towns and lumber camps. The mill at Brighton was close to the ocean, seen beyond the jetties in this image. When operating at full capacity, the Wheeler mill produced 150,000 board feet per day. 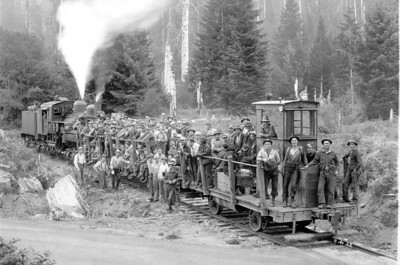 Logging companies built temporary railroads to bring logs from the woods either to the main rail line or to a river for transport to the mill. 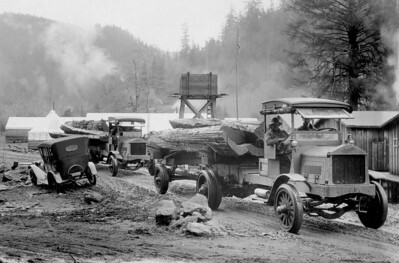 The Markam and Callow crew shown here operated from their camp along today's Highway 53. 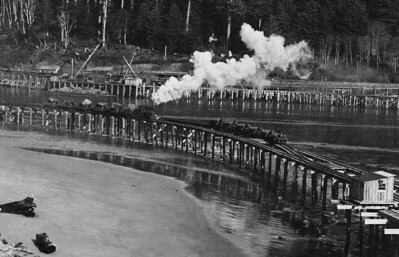 Their tracks ran along the west side of the North Fork Nehalem River and ended near the head of tide at the Scovell bridge. 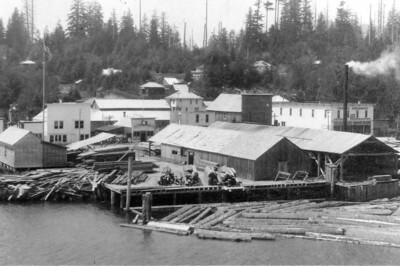 During World War One, the U S Army operated the Brighton mill to produce lumber from Sitka spruce ideal for building airplanes. 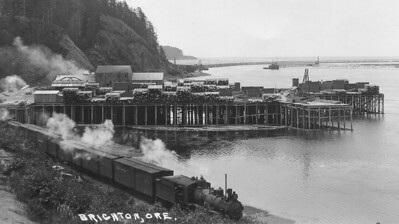 Mill operators worked with the Port of Nehalem to lobby for jetties to ensure dependable transit between bay and ocean. The U S Army Corps of engineers completed the jetties in 1917.